The festive season is upon us and from Christmas to New Years, you will probably be hosting a whole bunch of parties. Now, that can get boring if your house doesn't look the part. Right? So, instead of investing in decorations you might end up discarding/tucking away, why not rent the knick knacks and save a lot of money and hassle? Meet Castle Rock Events, a company that'll deliver themed party supplies' boxes to you. Castle Rock Events that was started nearly two years back, has now devised an ingenious way to reduce wastage on expensive decor. All you need to do is check out their website, pick the kind of decor you like, choose one or even two themes, and then book it. Cushion covers, table runners and decorative table top items, are just some of the things that come in each box. Their team will then deliver the box to your home (or even that holiday rental you have taken long term), so you can go about transforming that pad without even stepping out. 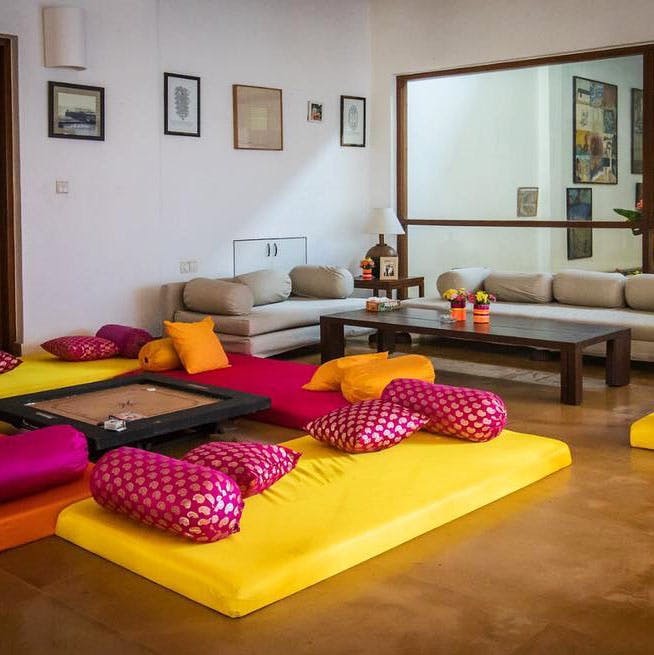 Starting at INR 3,200 per theme (you can rent it for up to 4 days), we say it is a pretty good deal. Especially, if Goa is your second home and you don't want to invest too much on short term quirks. You can pay online or do cash on delivery. There is a security deposit on each box, which is returned once the supplies reach their office and they have checked all the items.